Saying what I mean, meaning what I say, but I don’t say it mean. Trying to make myself better. Breaking the stigma, being confident in who I am. Putting a face on HIV. Not being ashamed of myself. I am a unique individual. Being the woman of today and loving myself. 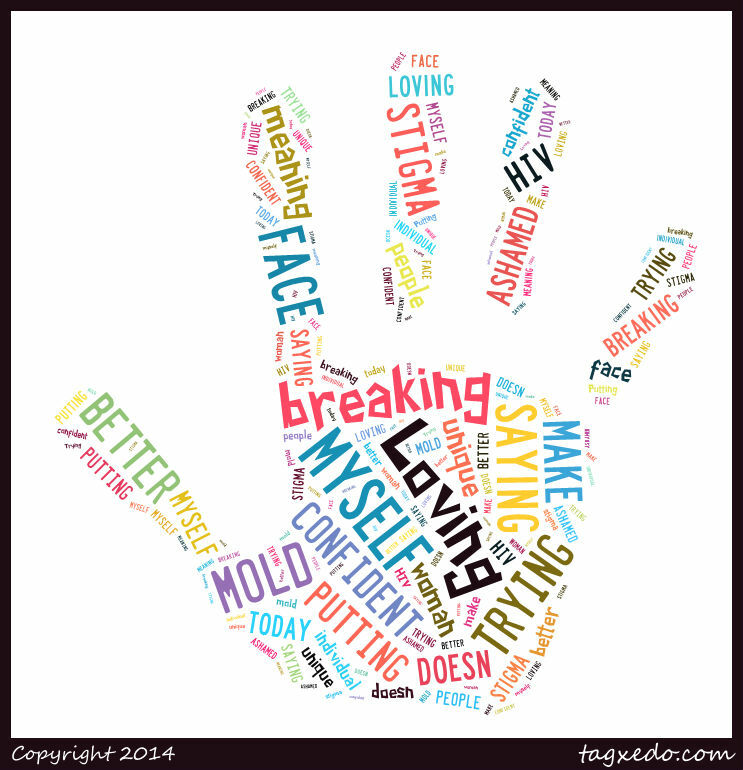 How are you breaking the mold-as a woman living with HIV, as a caretaker, as a mother, as a friend? We want to know! Image courtesy of Farmwork Justice. See more images here! Fighting back. By taking my meds, by seeing my doctors, by trying to eat right, by resting, and trying to stay healthy. Also by trying to beat the loneliness, the isolation, and fighting the depression. If we stick together, support one another, and speak out we can beat this disease.